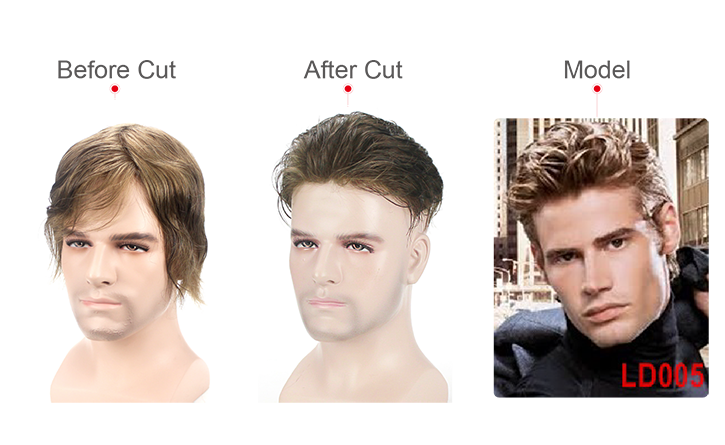 Another very realistic skin hair system, the S1-V men's hairpiece uses knotless V-looped hair all over to enhance your look and enable you to style your hair as you wish. Its skin base means it also scores highly on practicality. 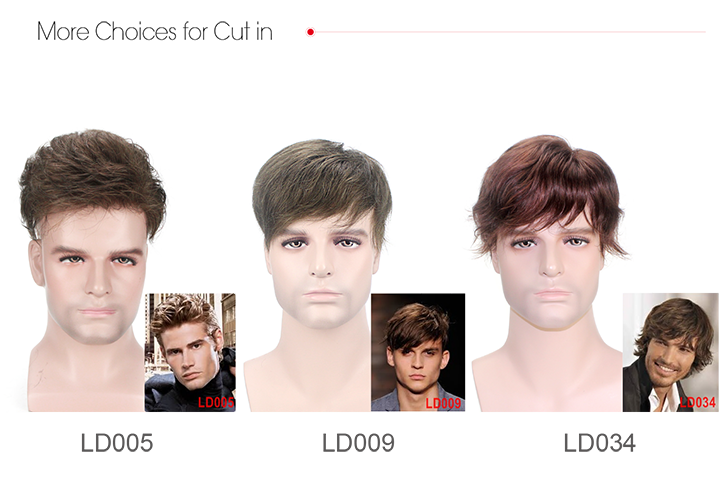 If your priority is style, the S1-V stock mens hair pieces are perfect for you. The S1-V mens hair piece is made with the knotless V-loop ventilation technique which lets you style your hair freely in any direction. With a base thickness of 0.06mm, this hair piece toupee is realistic but more durable than the stock S22. 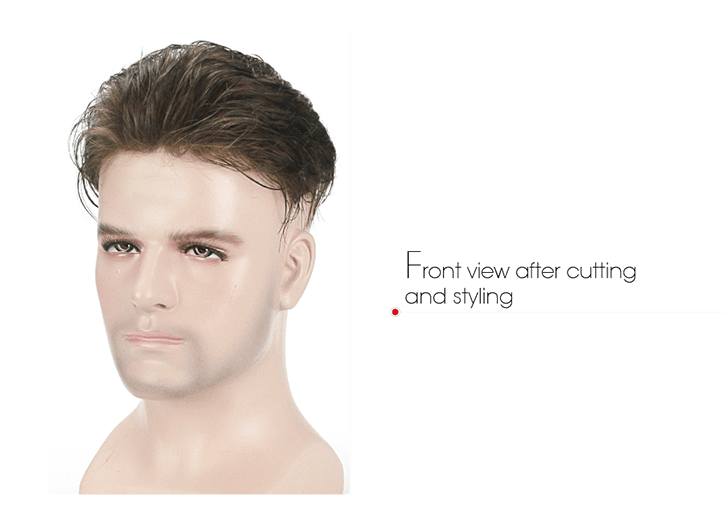 These Mens Hair Pieces are also unnoticeable with a graduated front hair line and super natural top view, the base material is also easy to attach and clean. 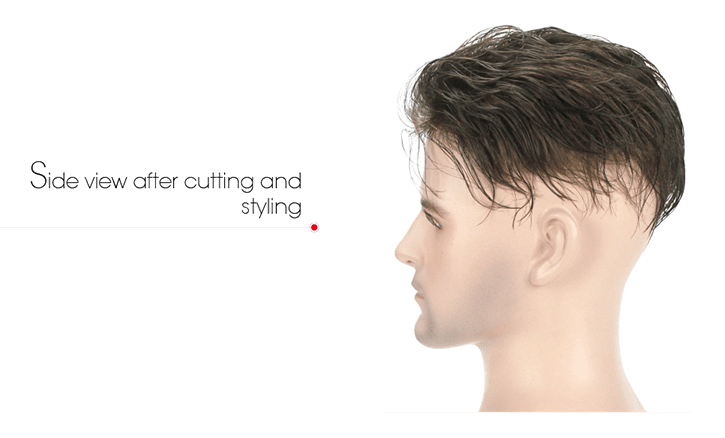 The base size of these mens hairpieces are 8"x10" which can be cut smaller prior to shipment and we also provide a professional cut in service. 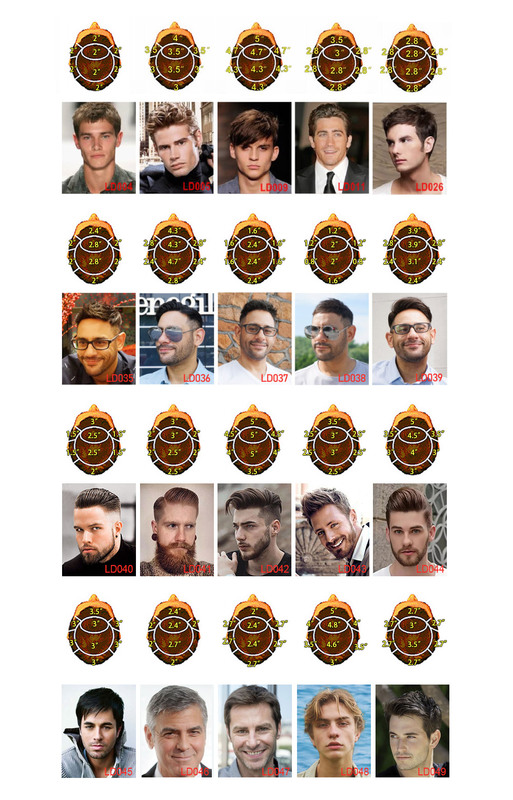 Immediate shipment after payment ensure you receive our mens hair pieces within 5 working days. This is a stock hair system. Below are the specifications of the product. Instant delivery within 24 hours. If you need us to cut base size or hair before shipment, then takes longer time, usually need additional 3 working days. Please cut the extra skin in front before you attach the hairpiece to your head. The hair color pictures are only for reference. Please be aware there might be color differences due to different monitors or screens.